Random Facts: On campus, she serves as a TA in the Chemistry department and is pursuing research with ChronoPoints laser scanning initiative. 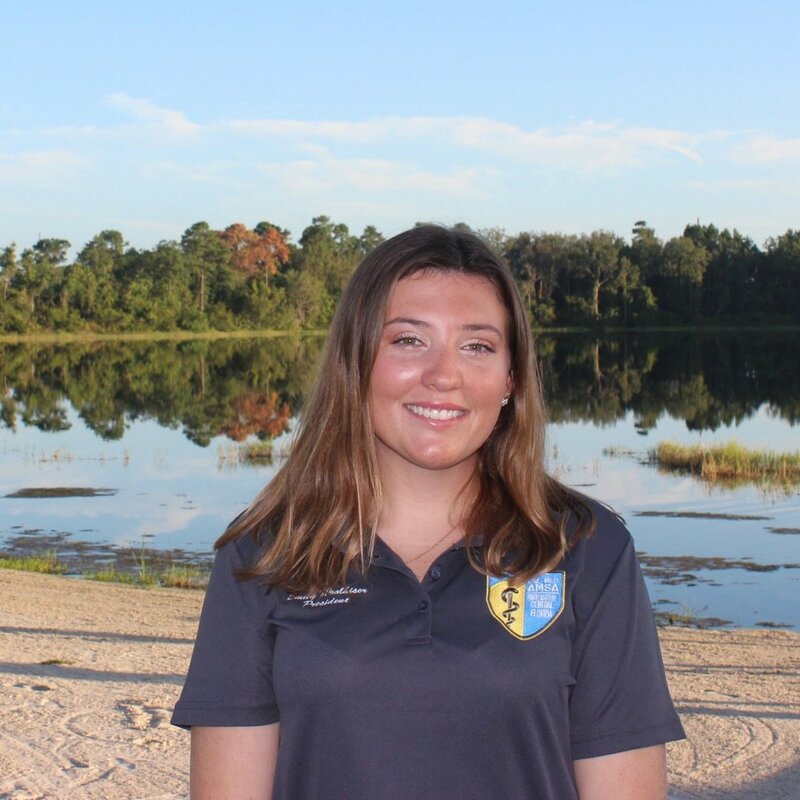 Growing up by the ocean, Emily gained a passion for fishing and diving. Her time in the sun has influenced her future career choice. 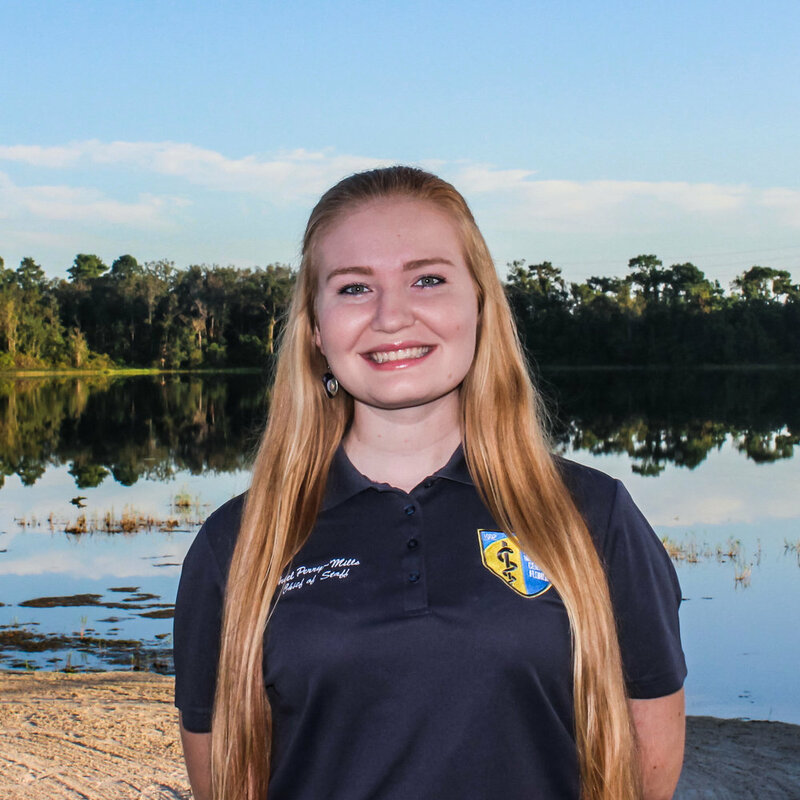 Random Facts: An avid dog lover and coffee enthusiast, Anishaa is also a Burnett Medical Scholar, and loves working on her research project up at Lake Nona! Anishaa also finds her medical anthropology minor fascinating and will discuss healthcare and Neanderthals with anyone who will listen. Future Goals: To attend medical school and become a surgeon! Random Facts: Along with his passion for medicine, Taylor is also very active on campus as a TA for Human Anatomy, Human Physiology, and Organic Chemistry 1. In addition to his research within the UCF Chemistry Department, Taylor was recently selected to be a Surgical Intern within the Burnett School of Biomedical Sciences Surgical Internship at Florida Hospital. Off-campus, he is a die-hard fan of both professional tennis and the NBA, with his favorite players being Roger Federer and LeBron James. Future Goals: To practice Dermatology in her hometown of South Florida. Random Facts: When she's not studying in the library, you can find Sophia volunteering at Winnie Palmer Hospital for Women and Babies, exploring new coffee shops, or at spinning classes at the RWC. Future Goals: To attend medical school and become a Neurologist! Random Facts: When she isn't in class you can generally find Ariel in her chemistry research lab working on her Honors in the Major thesis or in The Burnett Honors College zen garden. Ariel is a proud Ravenclaw and loves reading, music, and the arts.